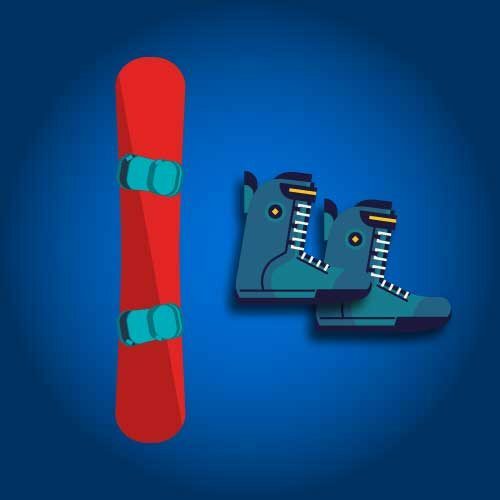 This Learn-to-Ride Snowboard Package is ideal for the beginner snowboarder who may require a softer deck to learn more easily how to carve a perfect snowboard turn and gain confidence riding down moderately steep terrain. The boards provided in this package can take you anywhere on the mountain, including the park, but as you become more advanced you’ll find the Demo Snowboard Package to better support your ability. The Learn-to-Ride boards are most stable at cautious to moderate speeds, enabling new riders to become acquainted with the sport. Includes a snowboard and boots.